"Over a billion people today carry Android smartphones—devices that are more powerful than the computers we used just a few years ago." In the context of Google for Work - Administrators have access to mobile device management for both Android and iOS. Mobile Device Management (MDM) allows admins to see what devices are connected, require device passwords and remotely wipe data when necessary. Regardless where blame lies this is a disaster from a corporate security perspective, lost / hacked devices can compromise an entire network and the data thereon. 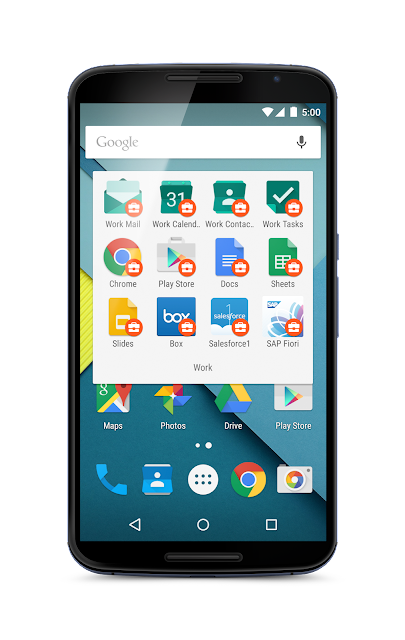 Get Android at Work !